Writing great content is an excellent way to make a name for your website. However, all of your efforts could be for nothing if you choose the wrong keywords, particularly if you depend on organic traffic for your revenue. Picking the ‘right’ keywords isn’t an exact science. However, there are several steps you can take to make good decisions for your website when it comes to picking keywords. Taking the time to do your research won’t only reward you with more traffic – it can also lead to higher conversions and faster growth. In this article, we’re going to talk about why using the right keywords matters. Then, we’ll guide you through the process of choosing them in three simple steps. Let’s jump right in! Before we dig in, let’s talk about what keywords are. Whenever you create a page or write a blog post you can set a keyword for it, which tells search engines what your content is about. More importantly, it enables users to find those pages by using those words – or similar ones – as queries in the search bar. Increase your chances to rise in Search Engine Results Pages (SERPs): If you choose keywords with less competition, you should be able to rise in the search engine rankings faster (as long as you create good content). Identify niches with potential: The more competitive a keyword is, the more potential it probably has when it comes to converting users. Overall, keywords are one of the most important aspects of any Search Engine Optimization (SEO) strategy. Even if your content is outstanding by every other metric, choosing the wrong keyword means you run the risk of visitors never finding it – a disastrous outcome. As we mentioned earlier, selecting keywords isn’t an exact science. However, here are three simple steps you can keep in mind to improve your odds of picking the right ones. 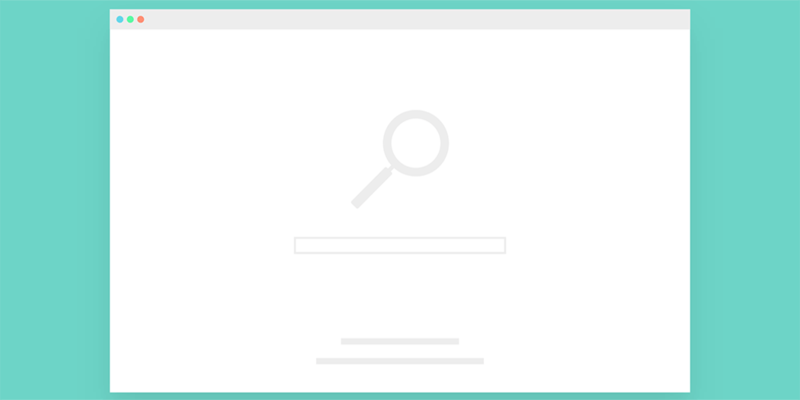 Using a keyword research tool can help you find dozens of options in seconds. A keyword research tool is something that can help you find related queries for specific searches. For example, if you run a blog about WordPress, you could do a search about it using one of these tools and find the top keywords in the field (i.e. those with the most competition). In a lot of cases, you can figure out some of these keywords yourself if you have experience within your niche. However, any keyword research tool is likely to give you dozens – if not hundreds – of results. Plus, these tools will often order the keywords according to search volume, making your life easier. Google Keyword Planner: This tool is part of the Google AdWords service, and it enables you to find keywords using queries, websites, and categories. Plus, you can sort your results according to search volume. Ahrefs: This platform offers a broad suite of SEO tools, including a keyword explorer, rank trackers, and SERP checkers. If you’re just starting out, Google’s Keyword Planner is a great option, since it’s both free and can provide you with tons of data. Ahrefs, on the other hand, is better if you’re looking for an all-in-one SEO solution. But keep in mind that it’s not free, so it’s a better bet for professional websites. If you know what questions people are asking, you can target them with your keywords. One of the most efficient ways to find good keywords is to figure out what questions people are asking. For example, if you write a blog post about how to cook a great burger, people will probably look for it by using a query such as “how to cook the perfect burger”. It sounds simple enough when you spell it out like that, but not all questions for your niche will be as evident. However, if you can figure out what doubts your potential visitors have, you can target them with keywords so your content will show up when they carry out a search. Research your niche using a keyword research tool. Separate all of the results phrased as questions. Make a list of the keywords that would translate well to content for your website. Look for related queries for those keywords if you want to go even deeper. That list you just created in the second step is basically a wellspring of ideas for new content for your website. Which of them to target is up to you, but in most cases, you should stick with those that have a decent search volume to make your efforts worth it. In general terms, the higher the Cost Per Click, the more competitive a keyword is. One of the hardest aspects of choosing the right keywords is gauging which ones are adequate for your website based on their difficulty. If you run a small site, it’ll be difficult for you to rank well for competitive keywords, due to a lack of ‘authority’. However, as long as you can quickly gauge what a keyword’s difficulty is, you should have no problem choosing the right ones for your posts. Then, as your library of content – and your experience – grows, you’ll be able to compete for harder options. In our experience, the best way to gauge a keyword’s difficulty is to use a research tool that provides you with estimated prices for advertising. For example, Google’s Keyword Planner tells you the estimated Cost Per Click (CPC) for each query it suggests. This is a rough estimate of how much you’d pay for each click you get if you want to advertise to the people who search for those words and phrases. The higher the cost, the more challenging it will likely be to rank for those keywords. Weed out the queries you’re not interested in covering on your site. Rank the remaining keywords from least to most difficult, according to their CPC. Work your way up from the bottom of your list. Keep in mind that you’ll still want to target keywords with decent search volumes, as we discussed earlier. That way, you won’t waste your time with content that’s not likely to bring in a decent amount of views to your site. Choosing the right keywords can give you a nice SEO boost. If you’re just starting out, chances are you’ll depend on search engines for most of your traffic, so learning to optimize your keywords is critical to your growth. Figure out what questions people are asking. Do you have any questions about how to find the perfect keywords? Pick our brains in the comments section below!